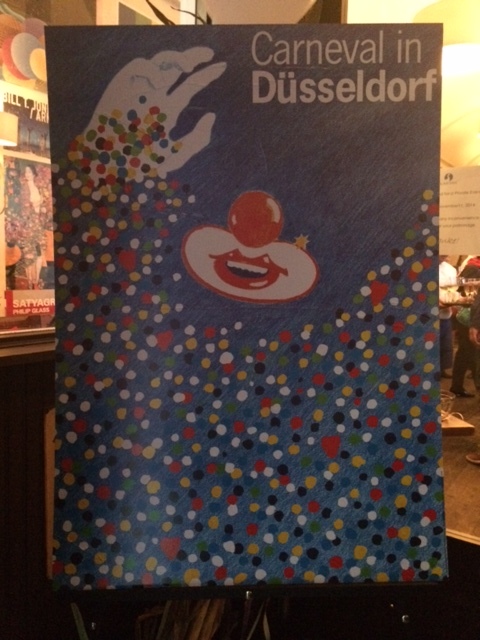 Did you know that Düsseldorf’s Carnival Season lasts four months long? 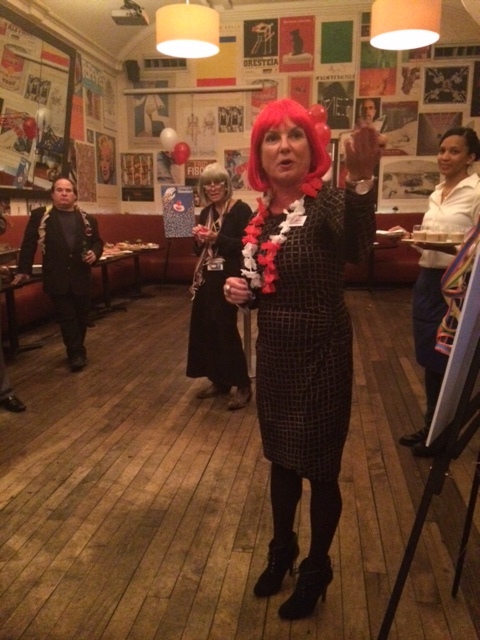 Last Tuesday night, Air Berlin and Düsseldorf Marketing and Tourism put on a shorter version of this German city’s colorful celebration with a reception at Blaue Gans in the TriBeCa district. 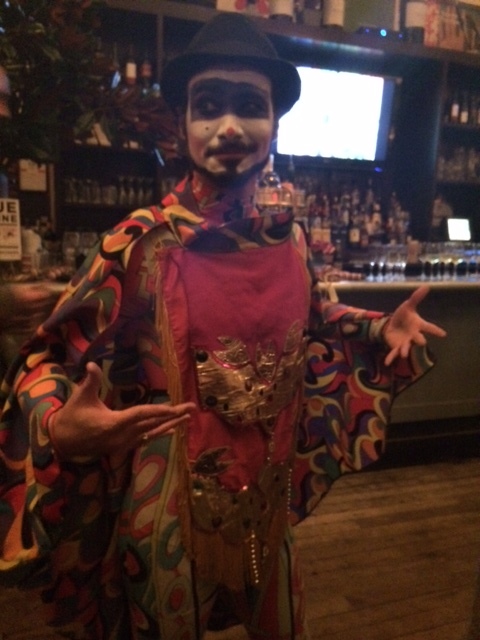 The reception featured German beers and local delicacies, and invites asked people to come in costumes. One travel writer did. Others like me put on whimsical hats or were draped with streamers by our hosts. 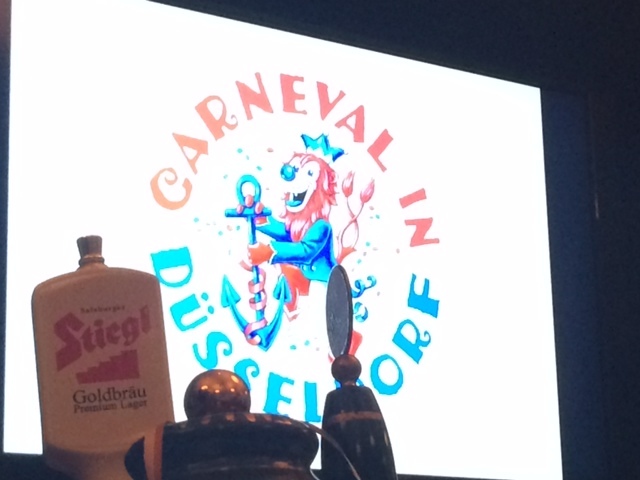 We also learned a thing or two about Düsseldorf and its history with carnival. Having started this week, this street festival in Düsseldorf’s city center is made up of different segments such as the city’s ladies and youth having their turns at taking over the parade route for a while. Even elected officials have their moment. By tradition, carnival time lets Düsseldorf’s citizens get away with poking fun at leaders through silly puppets and the like. The carnival season will be over February 18. And of course, in completing the night, a trio of performers had their act going. With Düsseldorf, I actually spent maybe 40 minutes there via my connection from their airport to JFK. I was flying on Air Berlin, coming first from Geneva, and had to make it through the gate in a short amount of time to my next departure. Speaking just as a customer, their gate crew offered to switch me to a front row seat so I could get off the plane quicker to help make my connection. They suggested it. That was awesome. 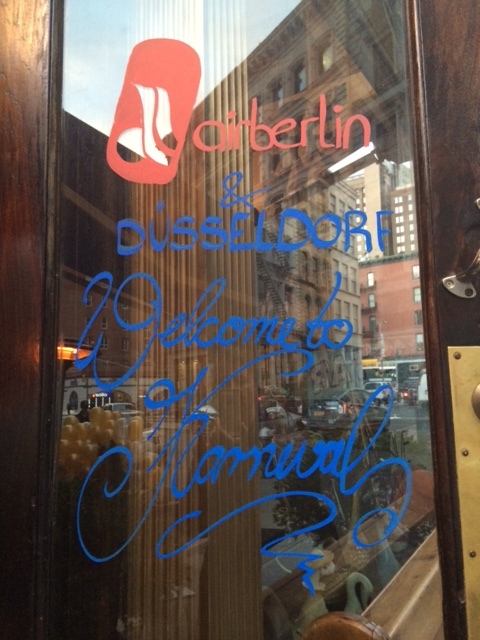 This entry was posted in Air Berlin, Air Travel, Attractions, Düsseldorf, Germany, Travel Events and tagged Air Berlin, carnival season in Düsseldorf, Düsseldorf, Düsseldorf carnival on November 14, 2014 by She Is Going Places.